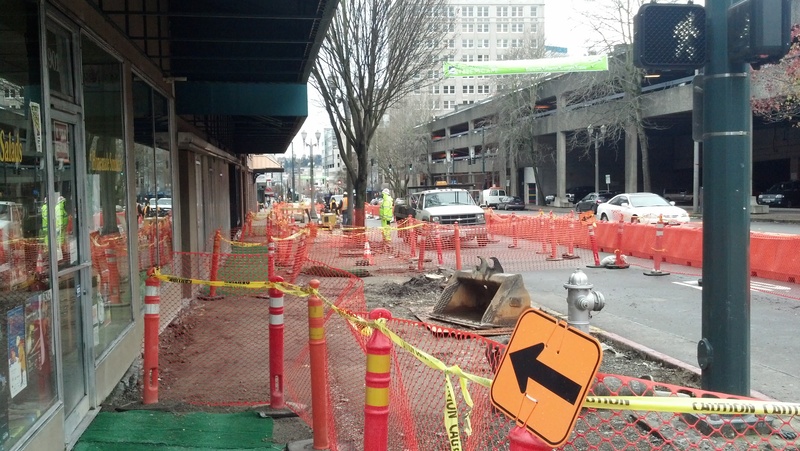 Businesses on Pacific Ave are not having an easy time keeping things going during construction. That’s all well and good and hopefully the project will be every bit as successful as they say it’s going to be when they complete the work at the end of this year. The question is, will any of the businesses that are there now survive until then? I’m going to take a look at some of the businesses in this construction area over the next few months and see how they’re doing and what they’re doing to get by. Pete Lira, owner of Thee Barber Shop is mentoring aspiring hair cutters. He’s also offering night classes. First up is Pete Lira, owner of the Thee Barber Shop just a couple doors from the corner of South 9th and Pacific. I’ve written about him before. He’s been my barber for the last eight years and he’s been cutting hair forty-seven. While the construction hasn’t stopped his regular customers from coming in, it has made business a bit more difficult. I discovered Pete because Pete was standing outside one day and talked to a friend of mine as she passed by. Later when I happened to ask if she knew a barber, she said she did. Such an encounter is near impossible with the current construction. What is Pete doing to help his business? Something he’s done before and enjoys doing: He’s offering to mentor those getting into the hair cutting profession. With almost half a century of experience, Pete has a lot of wisdom to impart. 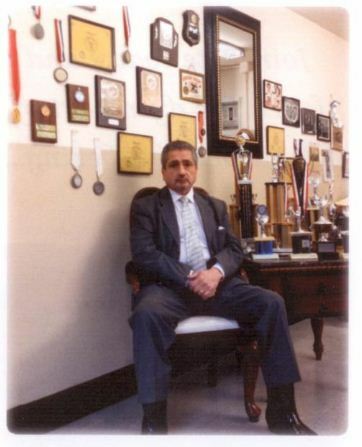 He’s an old school barber who believes in precision and classic training. If you’re interested in being mentored by a champion barber or if you just find yourself in need of a decent haircut, give Pete a call at 253-272-2663. This entry was posted in Surviving Pacific, Tacoma History, Tacoma Places, Tacoma stuff and tagged Barber, Pacific Ave Construction, Pete Lira, Tacoma, Thee Barber Shop, Training. Bookmark the permalink. I cam SO CLOSE to moving to Tacoma. Hope things keep getting better there.